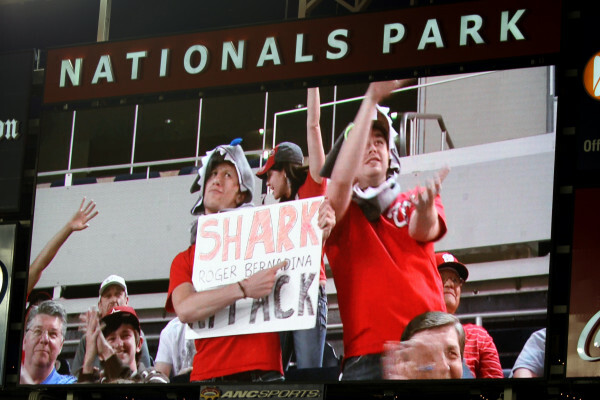 Riggleman reads our "Let Shark Play" sign and follows though. Photo care of Cheryl Nickols. Jumbo Shark! !